In a strong response to the non-implementation of time-bound promotion since 2014, Tamil Nadu Government Doctors’ Association (TNGDA) has taken an extreme step to boycott MCI inspection. All the government-run medical colleges will be reportedly barred from any kind of MCI inspection. As implied by the association, in 2009, there was governments order (GO) 354 of Health and Family Welfare Department issued putting in effect time-bound promotions for doctors in different ranks. The Directorate of Medical and Rural Health Services (DMRH), Directorate of Public Health and Preventive Medicine (DPHPM), and Directorate of Medical Education (DME), came directly under the purview of the new order. However, as further implied by the State president K. Senthil said that these promotions began with GO 354 in 2009, but were later stopped in 2013 only for the rank of Associate Professors to Professors for doctors attached to the DME. However, the review completed by the end of 2013 apparently revealed that the number of promotions provided were much less compared to available positions. Only around 550 had been promoted as Professors between 2009 and 2013 while the available positions stood at 1,511. 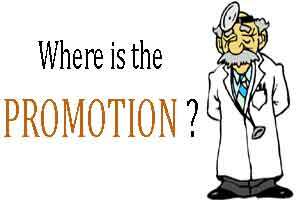 Until now, about 400 Associate Professors, who had become eligible, were waiting for promotions. Speaking to the media after its general body meeting at Government Rajaji Hospital (GRH) here on Thursday, its State president K. Senthil said that the office-bearers would observe a fast in Chennai on February 9, if their demands were not fulfilled. Their other demands included conduct of transfer counselling, which had been delayed for more than a year, for non-teaching staff in the DME, Chief Civil Surgeons and Senior Civil Surgeons in the DMS and staff in all ranks in the DPHPM.